There are few teams as accomplished as the Motor City Machine Guns but for years, there was one accolade missing from their resume: the Ring of Honor World Tag Team Championship. At Death Before Dishonor, Alex Shelley and Chris Sabin defeated the Young Bucks and climbed to the top of the tag team mountain. 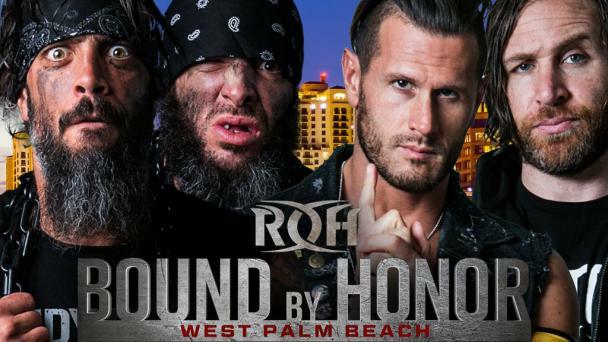 But one team whose body of work compares to the Machine Guns is the only team to hold Ring of Honor World Tag Team Championships eight times, The Briscoes! Jay and Mark Briscoe have held the ROH World Tag Team Championships for a combined 807 days across eight reigns and are considered by many the greatest tag team in Ring of Honor history. And as it stands, they are not only the most accomplished but also the most dangerous. The brothers have called their shot after causing chaos week after week on Ring of Honor Television and likely ending the in-ring career of ROH Enforcer Bully Ray. In Sin City, they have a chance to do it in the ring and take back what they have referred to as “their property,” the ROH World Tag Team Championships, for the ninth time! 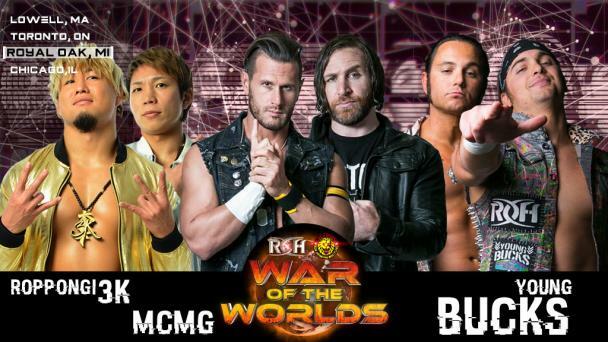 Two of the premiere tag teams in the world for the greater part of the last decade do battle for just the fourth time, EVER, live on Pay Per View! The two teams met last April at Masters of the Craft, with the Briscoes winning a wild bout that put their career record at 2-1. 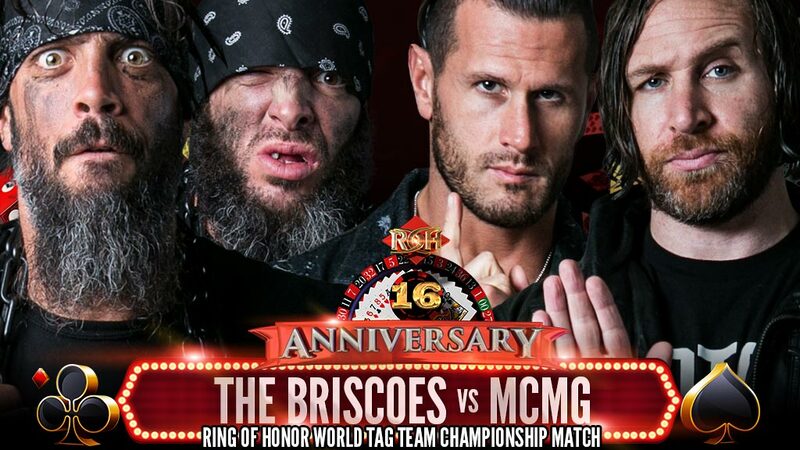 But this match has taken on a new meaning: on ROH Television, the Briscoes interrupted a ROH World Tag Team Title Match with the Machine Guns defending against Best Friends, zip-tied Alex Shelley and Jay Driller-ed Chris Sabin onto a steel chair! The carnage continued at Honor Reigns Supreme—the Briscoes successfully lured a courageous but alone Alex Shelley out before they beat down Shelley and potentially injured him, as well. The mean streak and attitude reflects the true colors of the Sandy Fork natives, who proudly waved the Sandy Fork vs. Everybody flag upside down, the international symbol of distress. 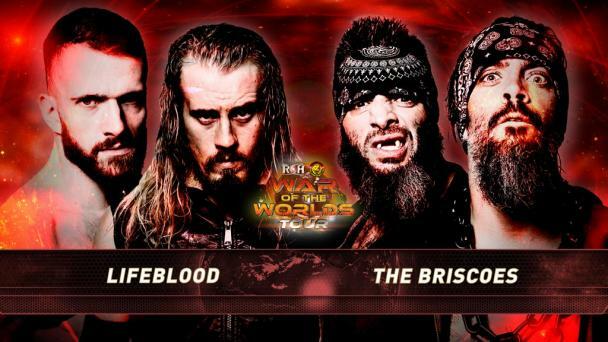 The Briscoes have done their best to physically wear down and injure the Machine Guns ahead of this bout, looking to slow down the Champions who have successful defenses against War Machine, Best Friends, The Kingdom, Silas Young & Beer City Bruiser, and The Young Bucks. But even worse, the Briscoes are waging mental warfare, too, and may have obtained the advantage by creating chaos around them! Doctors have cleared the Motor City Machine Guns to compete at 16th Anniversary and they have pledged to not even the career record against the Briscoes at 2-2 but get revenge and retain their championships! 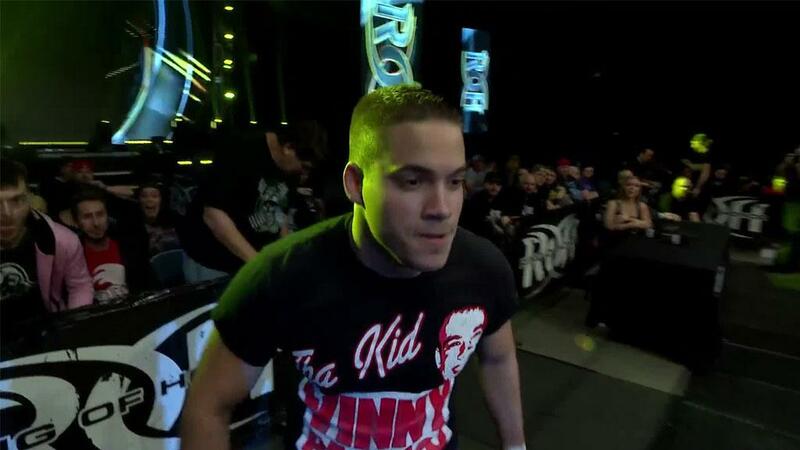 Who will walk out ROH World Tag Team Champions? Join us to find out!